Try one of our Electric Bikes and experience an easy and scenic 28-Mile ride through the Virginia Capital Trail to Berkeley Plantation History Tour. You will get to sees rural Virginia like you never have before on one of our unique electric bikes. 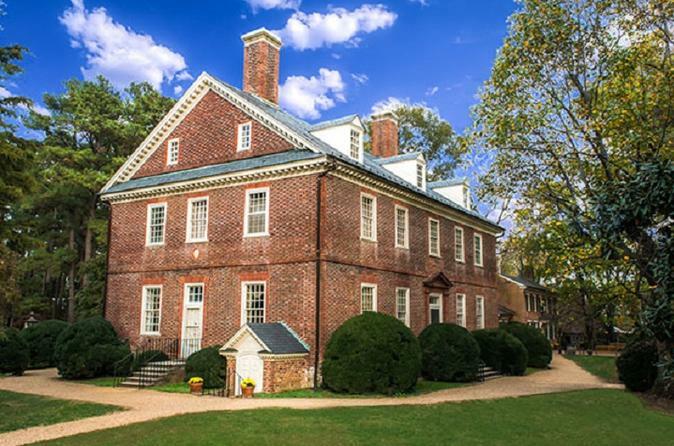 Berkeley Plantation is one of the oldest plantations in the country and home to two U.S. Presidents, Benjamin Harrison and William Henry Harrison one of the First Families of Virginia. The Harrison's former home and grounds is today a stunning example of what life was like in the 1700's. Comprises of about 1,000 acres and surrounded by magnificent gardens, and scenery and perched on the James River, Berkeley is the sight of the very first Thanksgiving in America in 1619. During the American Civil War, Union troops occupied Berkeley Plantation throughout, and President Abraham Lincoln twice visited there in the summer of 1862 to confer with Gen. George B. McClellan. Currently Berkeley is still a working farm harvesting corn, soybeans, wheat, tomatoes, and other vegetables are grown on the grounds. There is also a small family cemetery on the property and some of those buried here are Benjamin Harrison, Grace Jamieson, and Malcolm Jamieson. Our Plantation House tour includes a box lunch as well as Van transportation for customers and bikes back to where the tour began.